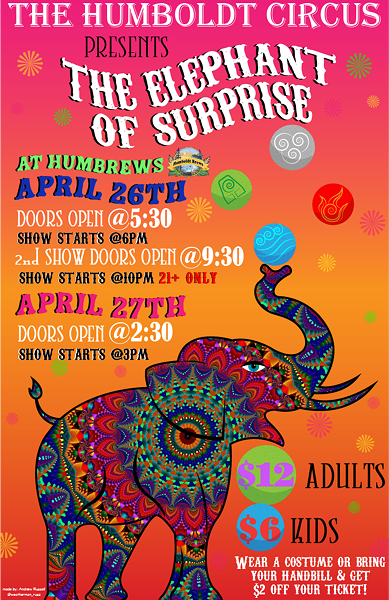 The Humboldt Circus Presents: "The Elephant of Surprise"
When: Fri., April 26, 6-8 & 10 p.m.-12 a.m. and Sat., April 27, 3-5 p.m.
"The Elephant of Surprise" in an original circus performance by the Humboldt Circus. The show features jugglers, clowns, flow artists, acrobats, sketch comics, musicians and more with many magical surprises in store! 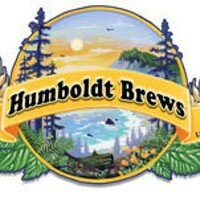 The 10PM showing is 21+, all others are all ages.